Shuttle : from Nice Airport : direct shuttle to Monaco Place d'Armes (5 minutes on foot) every half hour (between 08.45 a.m and 9.15 p.m.). Helicopter : Tel : (+377) 92 05 00 50 Fax : (+377) 92 05 00 51 booking@heliairmonaco.com - regular line MONACO-NICE (airport). Car : Anywhere in Monaco: follow the sign posts "Fontvieille / Centre Commercial). Train : Yhe Exhibition is 10 minutes on foot from the railway station. Buses in Monaco : Lines Nr 3, 4 and 6 (Destination : FONTVIEILLE) every 15 minutes. 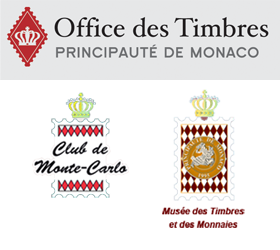 Cabs in Monaco : Tel : (+ 377) 93 15 01 01. Papalins, Port, St Nicolas, Ecoles, Héliport and Stade Louis II. Shopping Center Parking – Carrefour (under the exhibition) : first hour free, normal rates applicable from the second hour onwards.